"It's not the load that breaks you, it's the way you carry it"
With the holidays upon us, we are surrounded with food and drinks, socializing, and all of the other fun and cheer that come with this time of year. But with the holidays, and all of the positive emotions, we also see an increase in stress and anxiety levels. Maybe even decreased sleep because we have so many things racing through our minds. This is all normal. ​Too much stress may be affecting your health. But when does it cross the line of being just enough stress to too much stress?? Because not all stress is bad, and a certain amount of stress is needed to get through the day, and actually helps us in being productive. So what can you do about it? Because we know that chronic stress left unchecked can eventually lead to many health issues, including high blood pressure, heart disease, increased risk of stroke, depression, obesity, or diabetes. Identifying what causes negative stress in your life is important. Once your triggers have been identified, make note of the stressors that can be avoided. For stressors that can’t be avoided, determine what strategies will help with coping. But when the techniques listed above aren’t working, and stress gets to the point of disrupting daily living, or causing chronic inflammation in our body, then it is time to reach out for help. Seeking out guidance from a doctor, therapist, or counselor is an important step to consider if you’ve tried stress management techniques on your own that haven’t worked. To assist with maintaining a healthy and balanced diet, explore the healthy, holiday worthy recipes below. Socializing over the holidays doesn’t need to lead to weight gain or guilt! Oh She Glows is one of my favorite websites to visit when I’m looking for healthy, creative recipes. There are some great ideas here! This is such a great way to indulge in a low-carb lasagna! Use a vegan ricotta if you are dairy free. One of my all-time favorite recipes. One that the whole family loves. Avoid using halibut since it is higher in mercury. I use a combination of cod, mussels, shrimp and scallops. But any combination of fish will do! 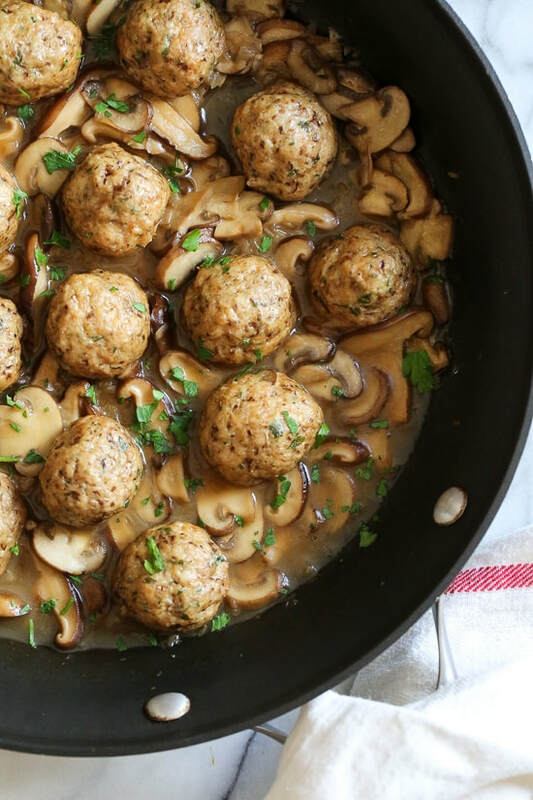 Who doesn’t love a great chicken meatball recipe! These can easily be made gluten free (sub GF flour and breadcrumbs) or dairy free (sub nutritional yeast for the pecorino cheese, and oil for the butter), and can be low carb if served over spaghetti squash or mashed cauliflower. Another one of my all-time favorite websites to visit for healthy recipes and inspiration! These muffins are amazing. ​And check out this vegan Cookie spread! Yes, these are ALL vegan! With summer in full swing, I hope everyone is embracing these warm days after the long winter we had! Believe it or not, this is the perfect time of year to establish healthy HABITS before we enter the COLD days of winter. We all know how important routine exercise is. And luckily, exercise can be found anywhere this time of year: Do some yard work, or these walking lunges in your backyard. Walk in the sand, or do these strength exercises at the beach or at a park. Take a walk outside on your lunch break. If it’s super-hot: go for a speed walk the mall, or clean your house in exercise mode (I do this one all the time! ): get in exercise clothes, turn on energy pumping music, engage your core while you’re mopping, or cleaning the tub, etc. Go up and down the stairs multiple times. Do whatever it takes to get your heart rate elevated! This is also the perfect time of year to eat local and enjoy the fresh produce that is abundant. Spend a morning at a farmers' market to get inspired, or look to see what's fresh and local at your grocery store. If you see something that looks like it might be fun to try, but you’re not sure what to do with it- ask me, the internet, or the farmer at the stand! This is a list of some of our local markets. Please let me know if I forgot one, and I will update the list. FYI- I’ll be doing 30 minute cooking demonstrations at the Danbury Farmer’s Market 8/18, 9/29, and 10/20 at 10:30 AM. Come visit! I’ll be demonstrating quick and easy healthy dishes. The Environmental Working Group has updated their Dirty Dozen and Clean Fifteen list. 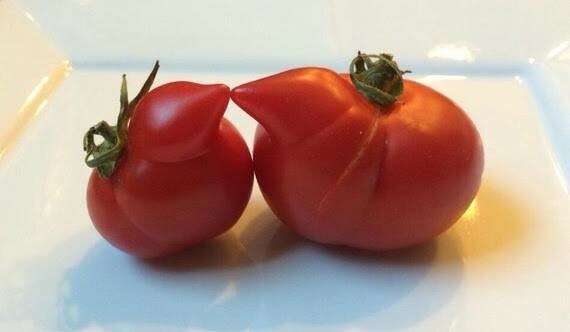 Remember that if you can’t buy organic for the dirty dozen, make sure to clean the produce thoroughly. I use a 1:4 ratio of distilled white vinegar and water. 1 part vinegar, 4 parts water. I keep it in a spray bottle on my sink for quick and easy washing. Or fill the sink to immerse large batches of produce. ​And now for some light and easy summer recipes to help with the healthy eating! ​LOVE this idea! For a short-cut, use an Everything Bagel seasoning like this Trader Joe’s “Everything but the Bagel seasoning. It’s my favorite! ​Love this healthy version of a layer dip! ​SO refreshing. I love making this dish! ​This is a great one to bring to a party, or to make at home for a grab-an-go lunch/dinner. Switch up the grain to whichever you like. ​Who doesn’t love a healthy dessert?! No need to feel guilty with this one. SO delicious, and SO easy to put together. ​It’s only about 3 months until Memorial Day, the first unofficial day of summer. Have you let your New Year’s Resolutions slip away? There’s no time like the present to get back on board! Every few months I like to take stock of my life and look for ways to improve or grow. We are constantly evolving. Take advantage of these spring-like temperatures, and get outside and go for a walk, take a hike, or do anything else outdoors that brings you joy! And if you'd like to join our walking group on Thursdays at 4:00, please email me and I will add you to our list. ​He also adds that “The key insight is that your brain is an organ that’s connected to everything else happening in your body. Fixing your brain starts with fixing your body”. ​I know I’ve mentioned this app before, but it is definitely worth repeating: My Fitness Pal. It is a GREAT resource for tracking your food intake and your exercise. Not only is it useful for keeping track of calories in and calories out, but it also gives a great breakdown of the nutrients in your food, so you can more accurately assess your diet. And it’s a free app. Win, win. And I chose to use frozen, organic fruits and vegetables to emphasize the ease and health benefits of them. Not only are frozen vegetables already cleaned, cut and ready to cook, they are just as healthy as fresh fruits and vegetables. They are flash frozen just after harvest, which locks in all the nutrients. They are also easy because you can keep them on hand for nights when you are short on time to get to the grocery store. And now for some recipes to help you get stronger, eat better, live healthier, and be the best version of you! ​Healthy muffins that come together quickly, and can be eaten on the run. These freeze wonderfully too, so they are a great addition to add to your meal prep for the week. ​This is a weekly staple in our house, I just change up the grain and vegetables to what I have on hand. Use whatever vegetables your family enjoys the most. Play around with colors and textures too! If you don’t like quinoa, whole grain pasta, brown rice, or a wild rice blend can be used. These are so delicious, and so easy to make! These are great for dinner topped with avocado, or great to bring for lunch over a salad. YUM! ​This is an absolute family favorite! It makes a great big portion, which makes for healthy leftovers for the week. If you’re not into leftovers, freeze in single portions to use later. This salad looks AMAZING. I will be trying this very soon. ​With the holidays right around the corner, let us remember to take the time to reflect, and give thanks. When life gets hectic, and time starts to rush by, it is easy to get caught up in the flow of things, without slowing down long enough to enjoy the little moments. Not only at Thanksgiving, but all year round. There is always something to be thankful for. This is a wonderful time to remind ourselves to live more in the present, and cherish every special moment. ​Every 66 seconds, someone in the United States develops the disease. Engage in regular cardiovascular exercise that elevates your heart rate and increases blood flow to the brain and body. Several studies have found an association between physical activity and reduced risk of cognitive decline. Formal education in any stage of life will help reduce your risk of cognitive decline and dementia. For example, take a class at a local college, community center or online. Evidence shows that smoking increases risk of cognitive decline. Quitting smoking can reduce that risk to levels comparable to those who have not smoked. Evidence shows that risk factors for cardiovascular disease and stroke — obesity, high blood pressure and diabetes — negatively impact your cognitive health. Take care of your heart, and your brain just might follow. Eat a healthy and balanced diet that is lower in fat and higher in vegetables and fruit to help reduce the risk of cognitive decline. Although research on diet and cognitive function is limited, certain diets, including Mediterranean and Mediterranean-DASH (Dietary Approaches to Stop Hypertension), may contribute to risk reduction. Not getting enough sleep due to conditions like insomnia or sleep apnea may result in problems with memory and thinking. Some studies link a history of depression with increased risk of cognitive decline, so seek medical treatment if you have symptoms of depression, anxiety or other mental health concerns. Also, try to manage stress. Challenge and activate your mind. Build a piece of furniture. Complete a jigsaw puzzle. Do something artistic. Play games, such as bridge, that make you think strategically. Challenging your mind may have short and long-term benefits for your brain. Regular aerobic exercise could be a fountain of youth for the brain. In a study led by Lauren Baker, it showed that “vigorous exercise not only makes Alzheimer’s patients feel better, but it makes changes in the brain that could indicate improvements”. “These findings are important because they strongly suggest a potent lifestyle intervention such as aerobic exercise can impact Alzheimer's-related changes in the brain. No currently approved medication can rival these effects,” Baker said in a statement. But what is the difference between moderate and vigorous? And what does regular exercise mean? According to the CDC, moderate exercise means you're working hard enough to raise your heart rate and break a sweat. You'll be able to talk, but not sing the words to your favorite song. At a vigorous intensity, you'll be breathing hard and fast, and your heart rate will be up quite a bit. If you're working at this level, you won't be able to say more than a few words without pausing for a breath. 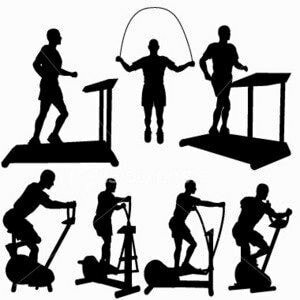 Most experts consider vigorous exercise at 70-80 percent of maximum heart rate for at least half of each session. ​Perform any of the above, PLUS 2 additional days of strength training. And 10 minutes of activity broken up throughout the day works just as well. So no excuses to not fit it in! Please follow these links for additional articles, information, and warning signs and symptoms of Alzheimer’s. Healthy eating is equally as important as regular exercise. I’ve listed below some healthy Mediterranean Diet approved recipes. Most of which would be delicious at the Thanksgiving table! ​Delicious! Most of the prep work can be done the day before. ​This takes a bit of prep work, but most of it can be done ahead of time. Beautiful dish! ​Nothing better than another dish with make-ahead options. This way you can save Thanksgiving Day for relaxing with family and friends! ​One of our favorites. SO good. ​This is a family favorite. I add 2 cups of broccoli florets to up the vegetable ante. I bet this would be good with leftover shredded turkey! ​These are the perfect solution for typically unhealthy apple cider donuts. Baked, not fried, these can even be made gluten free by using gluten free oat flour. Can be made as muffins if you don’t have a donut pan. It will make 8 muffins. SO delicious! Happy Fall! It always amazes me how quickly the summer goes. 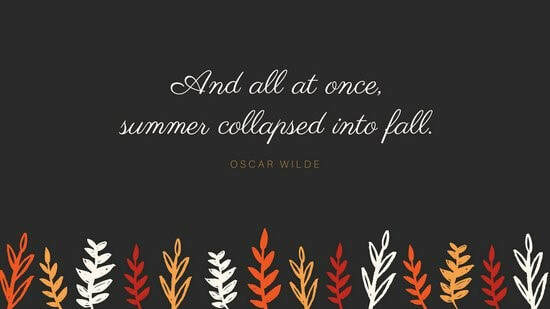 And although I’m sad to see summer come to an end, I welcome autumn with open arms. Crisp air, colorful leaves, cozy sweaters, warm fires, hot tea… the list could go on and on. To me, the fall is always an ideal time for goal setting and getting back into a routine. Summer is fun, but sometimes too much fun. Somehow, (BBQ’s, vacations, enjoying a glass of rosé on the patio…) I always seem to get a bit off track. Who says resolutions are just for The New Year??? We are constant works of progress. So I thought I'd share some of my goals, plus others that might be helpful ideas. So join me in my October Challenge! NO ADDED SUGAR for two weeks. You can do anything for two weeks. This means checking every single label. Salad dressings, mustard, tomato sauce, yogurt, cereal, even your peanut butter. This is a link for a more complete listing. Pretty unreal how tricky they make it to read the label! Join me! Monday, October 2nd through Sunday, October 15th. Let me know if you do the challenge!! ​And to help with the one new recipe per week goal, some of my favorites to get you started! ​So delicious, AND easy to make. Definitely one of my favorite veggie burgers. This is one that will satisfy meat-eaters too! ​YUM! 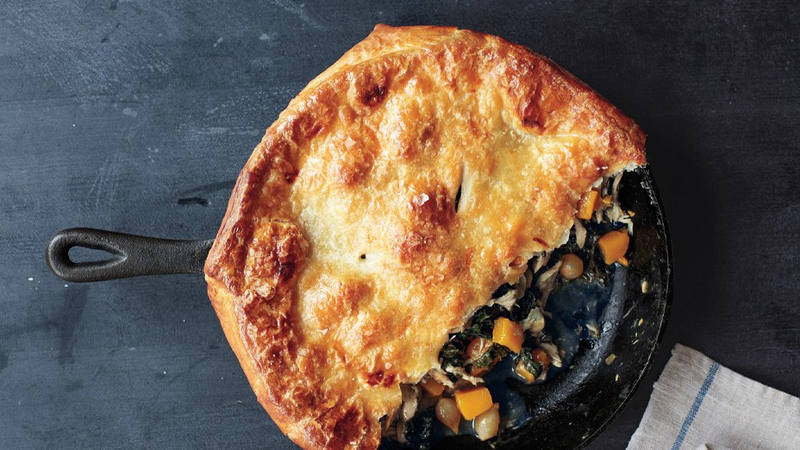 Who doesn’t love a one-pot meal? What a great weeknight meal to throw together. And all on one sheet pan! Use whatever vegetables you have on hand. Be sure to check out the video on the website. ​And you can’t go wrong with this healthy dessert. So healthy you could actually have it for breakfast!